Creatives discussing the storyboard. Photo by Safyan Iqbal. 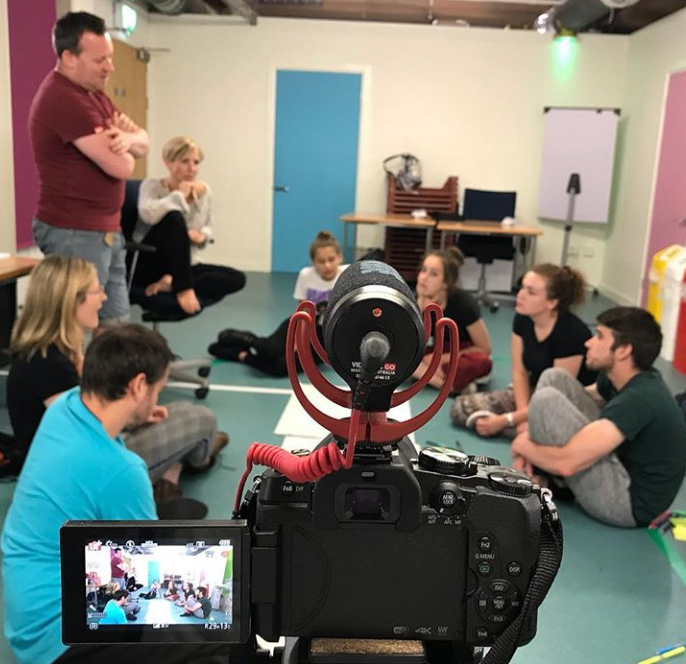 I Said I Love You (ISILY) is a deaf-led theatre project exploring the cultural connection between Welsh Language and British Sign Language (BSL). Told through a character-led narrative by writer Alun Saunders, ISILY is a love story that stimulates debate about who should decide how we choose to communicate. Told in a darkly comedic way and using a mixture of theatrical styles, the underlying topics of culture, identity, communication, communication breakdowns, oppression and linguistics are distilled into a romance. ISILY blows patronising attitudes and myths about deafness out of the water, standing proud as a comment on the breakdown of communication in our society and how there is always a way if you just look hard enough. With the Welsh language and British Sign Language forced into war with the constant fight for attention, why can they not work together?